Be the first to share your favorite memory, photo or story of Melissa . This memorial page is dedicated for family, friends and future generations to celebrate the life of their loved one. 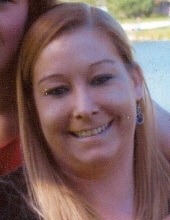 Melissa Reddy, 36, passed away July 19 at her home in Milan. Cremation rites have been accorded and private services will be held. Quad Cities Cremation Center is assisting the family with arrangements. Missy was born June 2, 1980 the daughter of Steve and Teri Reddy. Missy was a proud mother and avid Bulls and Bears fan. Survivors include her daughter Madison, mother and father Teri and Steve, sisters Susan Pizano and Pamela Hopkins; 2 nieces and 2 nephews. She was preceded in death by her friend Nick Tacker. To plant a tree in memory of Melissa Reddy, please visit our Tribute Store. "Email Address" would like to share the life celebration of Melissa Reddy. Click on the "link" to go to share a favorite memory or leave a condolence message for the family.